MPAA 2013 numbers: Women buy half of all movie tickets, but that won't mean more female characters on screen. Women Buy Half of All Movie Tickets. That Won’t Mean More Female Characters. Frozen was a winner in 2013, but so was Despicable Me 2. The Motion Picture Association of America released its annual report on moviegoer demographics this week, and women are well-represented in the seats. Last year, women made up 52 percent of the moviegoer population and bought half of all tickets sold. Those numbers prompted Women and Hollywood to put pressure on Hollywood studios to better reflect its audience on the big screen: “So again, we ask, if women are going to the movies more than men, why do only 15% of the films star women?” Melissa Silverstein wrote. If I were a Hollywood executive, though, I might be asking a different question: If women are already going to the movies more than men, why should I change my films to accommodate them? For people who want to see more female protagonists on screen and female filmmakers behind the scenes, these MPAA numbers are not exactly good news. Women have constituted a larger share of moviegoers—people who went to the cinema at least once in a year—since 2009. They keep buying movie tickets despite the fact that they are less likely to direct, write, edit, or executive produce these films than they were in 1998. They buy tickets even though female characters are less likely to talk and more likely to get naked than male ones are. In the 500 top-grossing films released from 2007 to 2012, male actors outnumbered actresses 2.25 to 1, and yet women keep watching. And we’re not just showing up to heralded female-driven stories like The Hunger Games and Frozen: According to PostTrack data, women recently outnumbered men in the audience for the new Liam Neeson thriller, Non-Stop. 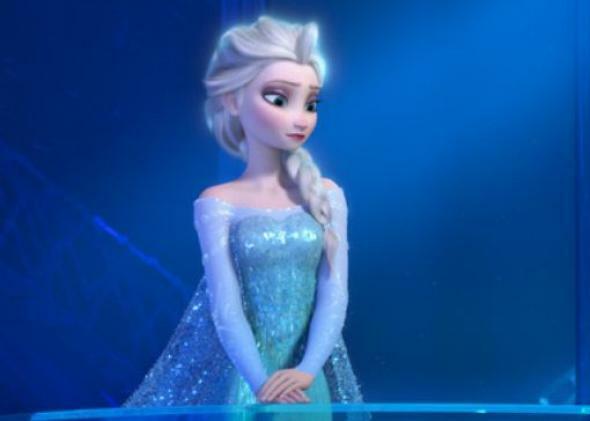 Female-led films got some well-deserved attention in 2013: The Hunger Games: Catching Fire was the highest-grossing film of the year, Frozen is now the highest-grossing Disney animated film of all-time, and Gravity won seven Oscars as a film that essentially featured just one (female) person. But a few big hits’ success doesn’t necessarily mean that the wider landscape is shifting. Earlier this month, Women and Hollywood crunched the numbers on the 100 top-grossing films released in 2013 and claimed that films with a clear female protagonist (like The Hunger Games: Catching Fire, Texas Chainsaw 3D, and August: Osage County) made more money on average than films featuring male protagonists. By their count, women-led films grossed an average of $116 million to men’s $97 million. But this is not a convincing counterargument to the conventional wisdom that films featuring women constitute a niche, because only 16 of the 100 highest-grossing films released last year actually focused on female characters. Putting my nefarious studio exec hat on again, I see female-driven films performing well on a limited basis, but I’m not convinced that the trend will hold if I start making many, many more films starring women. I want to see more female-driven films, too. But it’s a bit naïve to think that because women watch a lot of movies—and that occasionally, those movies actually feature women—that we should have all of the clout necessary to persuade male-dominated studios to cater to us equally. We still don’t know whether gender equality in films would constitute a smart economic choice for Hollywood, because we’ve never gotten anywhere close to testing that assumption. That means that films with female protagonists still constitute a risk. But given the losses they’ve eaten on big-budget, male-dominated flops like R.I.P.D., After Earth, and The Lone Ranger, perhaps it’s a risk studios should be more willing to take.